Plans for Yonge-Dundas Square redevelopments can be likened to a freight train. Two weeks ago, the Ontario Municipal Board held a public hearing at City Hall with more than 300 people in attendance, and not one credible voice opposed the plan. The engineer of this show was councillor Kyle Rae, who tooted his whistle and organized a long list of supporters, including two ex-Toronto mayors, the president of Eaton’s, hotel owners, businessmen and restaurateurs. Their message: the general deterioration of the area has made Yonge and Dundas into a “third world country: with an increased amount of “undesirables.” Families and tourists have come to fear the area, so it has to be cleaned up. The solution, said former Toronto mayor David Crombie, is large-scale redevelopment. In its plans to do so, the city will take over the properties of businesses along the northeast and southeast corners of Yonge and Dundas. “We’re past a stage where we can do things incrementally,” he said. Speakers, who went on oath, were clear as to what they wanted gone, naming panhandlers, the homeless, drug dealing and robberies as the major problems in the area. 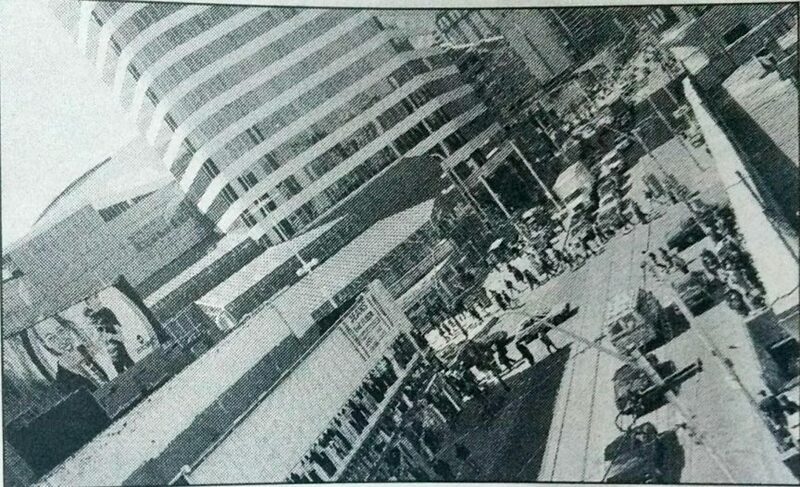 Of immediate interest to Ryerson students is a possible Gould Street entrance to the Dundas subway station. An expansion of the station, paid for by developers, is a must, said Aaron Barberian, owner of Barberian’s Steak House and Yonge-Dundas Business Association representative. He anticipates the proposed theatre complex would bring 7,000 more commuters into the station on busy nights, requiring more exits. What these assorted business interests hope for is a return of the upper and middle-class shipper to the area. “We need to create a destination for people to come to. People aren’t going to come because of the Gap alone,” said Ronald Soskolne, the city’s head planner for the project. Expected to bring this change is the movie complex, which will also have space for large retailers and a public square, where the current city parking lot is. Underneath the square will be a new parking lot, with space for 250 cars. Barberian said businesses also plan on sponsoring antique markets, farmer’s markets and ice carvings in the park.